JWW News: Recap and Photos of Membership Meeting, Updates and More! 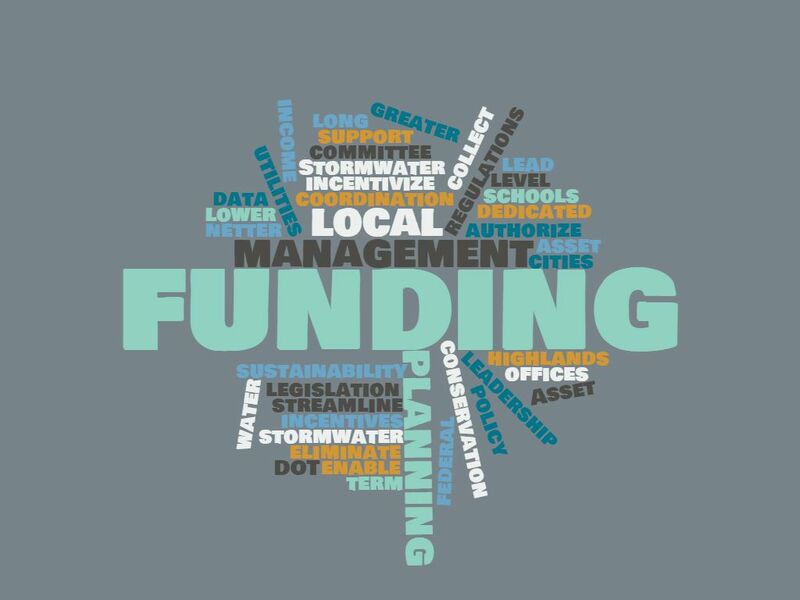 USEPA releases Water Finance Clearinghouse , a web-based portal to help communities make informed financing decisions for their drinking water, wastewater, and stormwater infrastructure needs. The clearinghouse provides communities with a searchable database that lists more than $10 billion in water funding sources and over 550 resources to support local water infrastructure projects. The National Association of Clean Water Agencies released environmental justice and community service compendium Opportunities for Municipal Clean Water Utilities to Advance Environmental Justice & Community Service , which includes a case study on the Camden County Municipal Utilities Authority. The Association of Environmental Authorities of New Jersey is seeking proposal for presentations for upcoming conferences and workshops. See the list of eligible topics and the submission form for more details. about drinking water contamination and related infrastructure needs organized by Democratic members of the Senate Environment and Public Works Committee. Her testimony described the extent of the problem of lead in drinking water in New Jersey and discussed a range of proposed solutions. How Are Jersey City Youth Promoting Water Stewardship? The Jersey City Office of Innovation welcomed 56 talented students from across four Jersey City schools to a Water Stewardship Science Fair at City Hall. Want to see your organization featured here? Email Jane Rosenblatt with your updates. At the 2017 Membership Meeting on July 18 in Jersey City, members were inspired, challenged, congratulated, and exhorted to stay the course on the work the Jersey Water Works collaborative is doing. Approximately 115 members from all sectors convened for an afternoon of strategizing, learning and networking, all with the one goal of working together to upgrade New Jersey's struggling water infrastructure. Learn more. View more photos on the JWW flickr page! 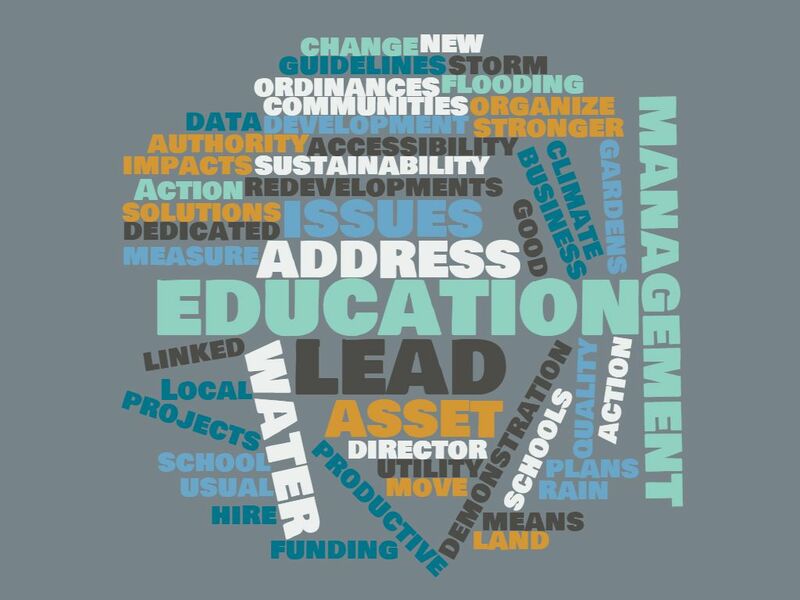 At the Jersey Water Works Membership Meeting, members were asked, "If 2018 were the Year of Water in your community and for the State of New Jersey, what is one local action and one state action you would like to see accomplished?" Check out the word clouds below to see the highlights from the table report-outs. Harvesting the Value of Water: Stormwater, Green Infrastructure and Real Estate (Urban Land Institute): This report brings together an analysis of the stormwater policy landscape and an introduction to various real estate development projects that have responded to it. It includes case studies that present both innovations in stormwater management and positive financial, operational or design outcomes. Navigating Legal Pathways to Rate-Funded Customer Assistance Programs (University of North Carolina Environmental Finance Center): This report summarizes legal barriers to and opportunities for establishing an assistance program for low-income customers of water and wastewater utilities across the nation. It serves as a guide to help utilities establish their own customer assistance programs. Keynote Speech: Complementary or in Conflict? Community Organizing and Collective Impact by Marshall Ganz (Harvard Kennedy School), with introductory remarks by Monique Miles (Aspen Forum for Community Solutions). The program is sponsored by a new partnership of the Association of Environmental Authorities, American Water Works Association and JWW. Apply today! Applications due Sept. 30. New Jersey Future is hiring a part-time community outreach organizer to support community outreach efforts in Harrison, Bayonne and Kearny, and to provide support in convening a broader community engagement network. Among the law's key provisions, it will require drinking-water utilities to develop comprehensive plans for managing their infrastructure, and to dedicate sufficient funds for the highest-priority improvement projects identified in those plans.